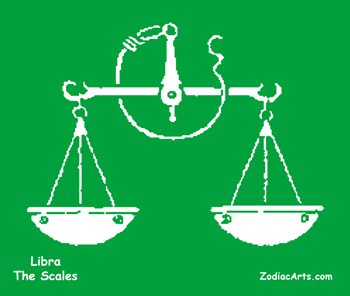 The sign of Libra, ruled by Venus, is associated with balance, harmony and beauty. Libra is an air sign with a focus on aesthetics and integration. There is an emphasis on peacefulness, sociability, cooperation, and fellowship. Issues involving relationships, partners, contracts, romance, marriage, divorce, lovers, artists, beauticians, decorators, diplomats, judiciary, mediators, litigators, musicians, negotiators, pacifists, and politicians become accentuated during the Libra cycle. The house that Libra occupies in the natal chart shows an area of life where one seeks approval, can be indecisive, gullible, and shallow. It also shows the area where one achieves balance and can be especially charming, diplomatic, kind, and considerate. 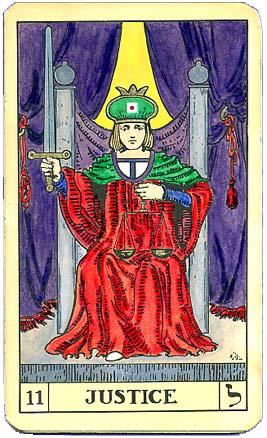 The sign of Libra is associated with the Justice card in the Tarot. Attune to the qualities of Libra with a 3-minute tarot meditation on Justice. Justice is the figure of poise and grace. Ruled by Venus, she reminds us that peace radiates naturally from a center of harmony and order. She teaches us to do away with extremes, balance opposites and find stability within. Confer with Justice to become centered or whenever you wish to invoke clarity, balance or simplicity. Libra Sits in the West on the Medicine Wheel. The direction West points to the path of spiritual intelligence. The sign Libra correlates to Experience, the first step on the Western pathway of Sun Bear’s Medicine Wheel. The Love developed during the Virgo cycle allows the active participation in life via interaction with others and observation of the shadow, both of which provide life experience and lead to knowledge. The key to balanced relationship lies in being able to appreciate the value of routine activities.